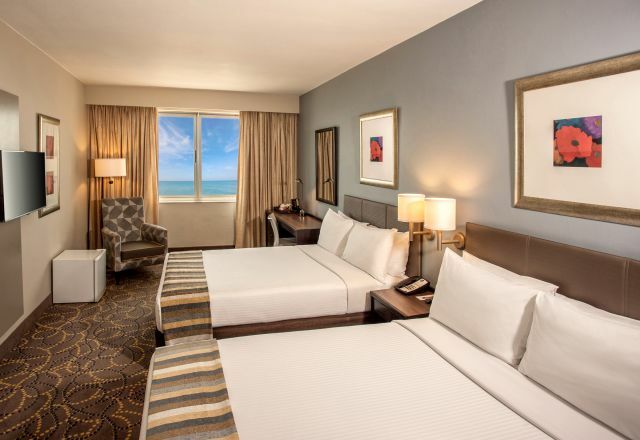 Garden Court South Beach hotel offers guests a choice of 414 well-appointed double or queen format rooms, with en-suite bathrooms. Our Durban accommodation includes a choice of sea-facing or city-facing rooms depending on preference. Amenities like air conditioning, free WiFi and in-room tea and coffee facilities are standard. The hotel also offers wheelchair-accessible rooms as well as smoking rooms on request. For an affordable, accessible holiday or business trip that doesn’t compromise on quality and comfort, Garden Court South Beach has something for everyone. Standard Rooms at the Garden Court South Beach hotel in Durban have a double bed, plus an en-suite bathroom with shower and bath combination. 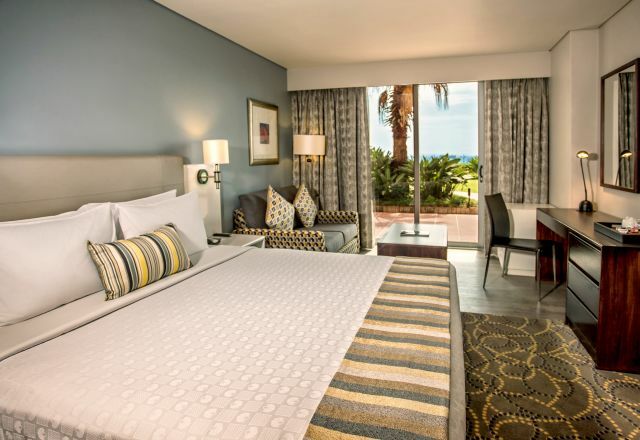 Superior Rooms offer comfortable and spacious accommodation on Durban’s South Beach. 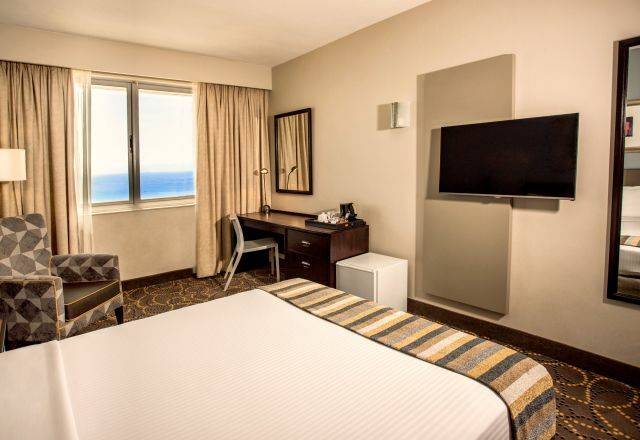 Our Durban beachfront accommodation includes the popular Superior Surcharge Rooms which offer great amenities and two double beds. Accommodation in Durban with extra space, extra comforts and extra amenities, our hotel’s Deluxe Rooms are the perfect choice. Family Rooms at the Garden Court South Beach hotel in Durban have two double bed, plus an en-suite bathroom with shower and bath combination.